A ritual can be as simple as making tea and using a specifically chosen cup, each morning. It might be in the way we tend our garden or talk to our loved ones. It’s the difference between doing actions mindfully (with awareness), versus doing them out of habit. But, why does awareness matter? And how do rituals help us achieve it? Rituals reinforce a sense of peace, rhythm, and connection. They can be private, or public. When we do an action mindfully, we enhance our experience of presence, even changing our brainwave state, whether through yoga, writing, painting, going to the gym, meditating or walking a labyrinth – even the process of conversation, when based in deep listening, can be performed as a sort of ritual, enhancing the depth and quality of the exchange. ¹Athletes are notorious for incorporating both practical and unique rituals into their preparation in hopes of enhancing or maintaining a superior level of play. Ritual brings connection, focus, presence, and is prompted by a kind of anticipation for success or deepening. Scientific American examines Why Rituals Work and has found that, ‘People engage in rituals with the intention of achieving a wide set of desired outcomes.’ Some of those ritual approaches vary from shaking their body in certain ways in order to release negative energy to relax and calm down (desired outcome), to ²fishermen in the South Pacific Ocean invoking magical powers to protect themselves from sharks, and have a successful fishing trip. 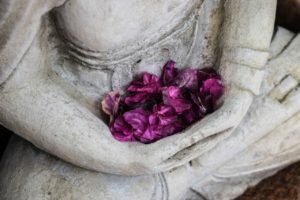 Last month I was blessed to co-host our annual Women’s Wisdom Retreat, a gathering with a focus on connecting to our innate wisdom as women through Soul Collage, Song, and Mindful Sharing in Circle. We approached the gathering as a series of rituals within rituals – each element carefully chosen and lovingly carried out. We worked with the elements, with nature, and we also focused on dreams – another source of connection that has roots in psycho-dynamics. 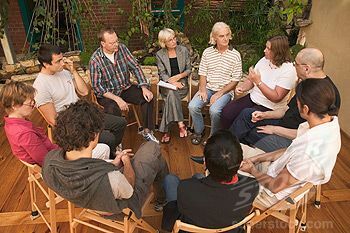 Circle work itself is the more feminine principle of communal wisdom sourcing – sharing in presence, and allowing for new insights to come in from the collective intelligence present in a circle. (Ironically it is not unlike Quakerism – which does not believe in ritual, per se, yet supports the process of deep listening, itself a form of non-iconic ritual). As a teacher of Creativity & Innovation to people in management, I often remind them that the way they bring themselves to a conversation or a team meeting directly impacts the quality of the ideation and sharing that becomes possible. In this more personally based Women’s retreat, however, the focus is not on production outcomes, but on personal development. 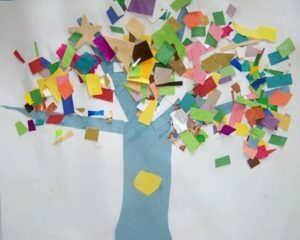 It is community-based learning, where we get to examine and free ourselves from limiting beliefs, refocus on a personal vision that may have become lost in the contrary fray of life’s demands and schedules. It becomes about quality of life, being able to take away the good feeling, and the rituals, to our homes – beyond the timeframe of the gathering itself. Rituals, taken forwards, become a way of rooting ourselves back in a remembered moment. One example of this from our retreat is the ‘blessing song’ which we would sing before eating, as a way of entering the state of gratitude. We can recall this state after returning home, whenever we sing it. For me, singing itself is a ritual. When I practice this ritual I get transported to a different place, away from worries, cares and concerns. My mental body dissolves and I start to ‘fly’. It’s a great feeling. A ritual improves the quality of the space, both inside and outside of ourselves. Choose a location in your home, or an easily accessible place nearby (indoors or outdoors) that you will use as your week long ritual space. Perhaps it’s a walk you will repeat each day, for five days, taking a journal with you. Maybe you’ll craft your own ‘creative space’ in an unused corner of a quiet room, at home? Pick a situation where you won’t be called on to talk or interact with others. Maybe you’ll commit to taking a walk on the same morning, once a week, for five weeks. Whatever you decide, take this commitment seriously. Protect it lovingly. Decide what your question is (you can create a new question each time, or stay with the same one) and tune in to the question as if it is your companion on your daily ritual. Maybe you’ll plan on going to an art gallery each day, or maybe you might want to take one picture each day, focussed on a particular theme, or subject, something that excites moves, or intrigues you. Clarify with yourself that you are committing to this for a ‘higher’ reason that matters to you. Select a journal (maybe buy a new one specially for this ritual), clear your schedule for the ritual and put it in your google calendar, so you don’t have to ‘decide again’ each morning/afternoon/evening that you are going to do this. Tell your friends/family/colleagues (if you need to) that you will be available at whatever time it is scheduled to finish – allow a few minutes to transition back to the bustling world before you connect with others. If you are walking, this is where you turn off your phone (better yet, leave it at home), bringing only your journal and a pencil or pen (or coloring pens) and let yourself walk slowly amongst the beauty. Find a place to stop and contemplate. Start listening for your own answers and those of the Universe (these can show up as passing butterflies, random insights, overheard conversations or even the sound of the passing wind). If you are indoors, sit in a chosen spot to write. Allow yourself to be both experiencer and observer – listen to your body, your soul, your thoughts and feelings. Let yourself ‘speak’ into your journal, remembering no-one else will see it, and you can freeform write until you feel ‘complete’. You will know when that is – it’s like an energetic shift happens and you suddenly look up, and breathe out. You will feel relieved and ‘lighter’. It might take 10 minutes or 30. Close your journal, and walk home, or get up from the table and thank the space as a way to ‘close out’ the ritual. Celebrate your sense of accomplishment and connection. Congratulate yourself for showing up. You did it! It has been said “it takes 3 weeks to break a habit.” While the actual timespan can be debated and can differ depending on the habit or situation, changing a way of doing things that has become unconscious, needs our presence and our commitment. It helps to picture what we want to have happen, to remind ourselves why we are doing it. If we picture where we want to be, and why it matters to us, it can help us in the shift – it is specifically helped if we can feel the emotions of that state. 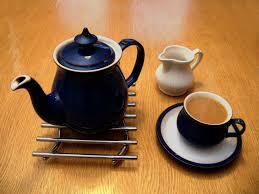 For me, a ritual is that I make tea every morning (english breakfast) because I am English (!) so it connects me to my ancestors, my family and my land. It makes me feel emotionally connected – I feel love. It is both a ritual and a habit that I cherish because I no longer live in England, so I appreciate the ‘tethering’ to where I originated. However, some habits might need to be watched; perhaps you smoke and it might feel like a ritual to you, because you enjoy it, but perhaps the distinction is that a habit can have negative side effects, whereas a ritual grounds you in a deeper reality, bringing you to a higher sense of connection and purpose and self-care. What do you think? Can you identify your habits as compared to your rituals? Are there any you’d like to change to improve your quality of life? Now you’ve seen some variations and approaches to ritual and how to identify them, distinct from mere habits. I invite you to consider trying a short process of ritual that has meaning for you. Perhaps it is something you’ve been curious to try – an old habit that you’d like approach as a ritual, or a new one you’d like to create? Is there a place you’d like to spend more time? A research project that will enhance a sense of magic in your life? Maybe you want to learn how to make each conversation special by approaching it more mindfully? Perhaps you want to get away from a habit, like negative speak, for instance… turning positive speaking into a ritual is an ideal way to change a habit (remember it just takes three weeks!). Either way, I hope you’ve found this article helpful and, perhaps, even a little inspiring. References: ¹Footballer, Curtis Martin, was well known for reading Psalm 91 before each game, according to New Scientist. ² Scientific American.